Trustworthy information, straight from the source. Education is the first step in an empowering healthcare plan. Learn more about acne, from prevention to diagnosis and treatment. Acne is a condition that causes red bumps, or pimples, to form on your skin. It is a long-term skin problem that is common in young adults. Acne most often appears on the face, upper chest, back, and upper arms. Mild acne includes blackheads, whiteheads, or small pimples. Whiteheads are closed, white bumps that form when the pore is completely blocked. Blackheads are tiny, open dark spots that form when the pore is only partly blocked. Pimples are inflamed bumps that contain pus. They are often caused by clogged pores and develop when whiteheads or blackheads get infected. Moderate acne includes 10 to 40 small raised solid pimples that may contain pus. Severe acne includes more than 40 swollen, hard, painful pimples, open wounds, or cysts. Cysts are closed, pus-filled pockets of skin. Severe acne appears deep inside the skin, and may need immediate treatment to prevent infection or scarring. Scars look like dips or divots in the skin, and may be discolored. Acne occurs when pores become blocked with oil, dirt, or bacteria. Pores are openings in your skin where oil, sweat, and hair are produced. Acne can also be caused by overactive sweat glands or high hormone levels. What increases my risk for acne? Touching or rubbing your skin. Medicines, such as birth control pills or steroids. Medical conditions, such as polycystic ovarian syndrome or Cushing syndrome. How can you prevent acne? Prevent acne by using acne products that your healthcare provider recommends. Gels, solutions, cleansers, and medicated gauze pads may be used to reduce oily skin. Creams, ointments, and lotions are better if you have dry, sensitive skin. Continue to use these products as directed to prevent new acne. Your healthcare provider may tell you to use your skin products less often if your skin gets irritated. You may need to stop using them until the irritation goes away. Your healthcare provider will examine your skin and ask if you have ever received treatment for acne. Tell them how long your acne lasts and which face care products you use. They may ask if anything makes your acne better or worse. You may need blood tests to check your hormone levels. Your acne may get worse for the first two weeks of treatment. You may start to see improvement in four weeks, but it may take up to three months to complete. Medicines: Topical treatments are medicines that you put on your skin to kill germs, or to treat blackheads or whiteheads. Topicals may also reduce swelling or stop skin from peeling. They are available as gels, creams, pastes, liquids, and cleansers. Antibiotics may be given to treat an infection caused by bacteria. Mild acids, such as salicylic or azelaic acid, help kill bacteria and improve your acne. Hormone medicine may help balance your hormone levels and reduce the amount of oil your pores make. Retinoids are prescription medicines to treat severe acne lesions. It is often used when other treatments do not work. You will need close follow-up if you take this medicine. Do not use this medicine if you are pregnant or breastfeeding. Retinoids may cause serious birth defects. Ask your healthcare provider for more information before you use this medicine. 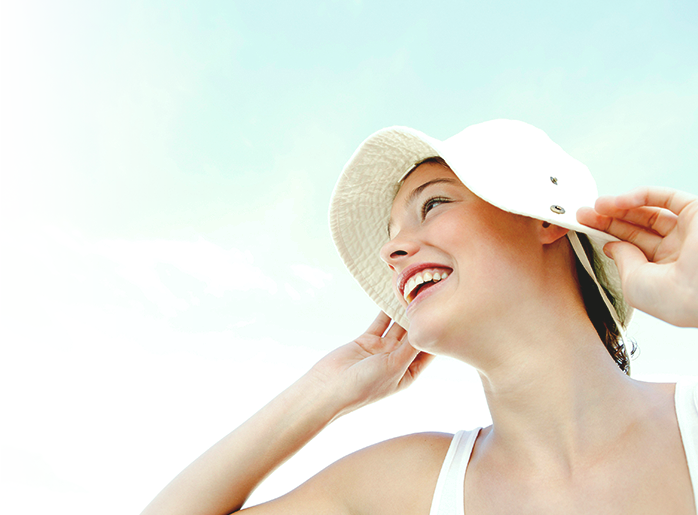 Light therapy may help decrease your acne. Ask your healthcare provider for more information about light therapy. You have a fever and inflammation of your skin. Your acne does not get better, even after treatment. You begin to have mood swings or personality changes. You use retinoid medicine and you think you might be pregnant.